One pilot is lost; investigation is under way. One test pilot died and another was injured in the catastrophic failure of the SpaceShipTwo vehicle over the Mojave Desert on Friday. Virgin Galactic, who had hoped to begin suborbital tourist flights next year, said that Scaled Composites pilot Michael Alsbury was killed, and Peter Siebold was injured. Investigators from the National Transportation Safety Board arrived on the scene Saturday morning. SpaceShipTwo’s engines have been tested in powered flight three times, most recently in January, but this was the first test since project engineers switched to a new solid fuel. This vehicle was the only one of its kind. 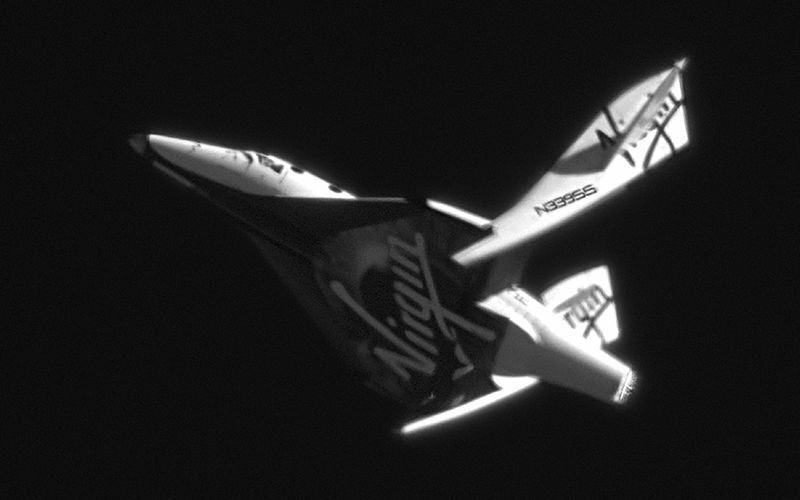 Virgin Galactic chief executive George Whitesides said in July that a second spaceship was about 40 percent complete. Update, November 3: NTSB held a briefing at 8:30 p.m. last night, with their findings so far. 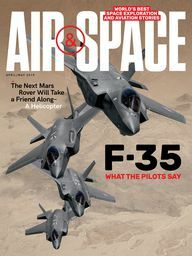 Christopher A. Hart, acting chairman of the board, said officials have found nearly all the important parts of SpaceShipTwo, which was spread out in a line about five miles long, and have moved them into a hangar. "They found the fuel tanks, the oxidizer tanks, and the engine, and all were intact and showed no signs of burn-through, no signs of being breached," Hart explained. Since this was a test flight, there is an usual amount of data, including telemetry, video footage shot from inside and outside the vehicle, reports from eyewitnesses on the ground, and data from many sensors built to keep operating if the ship lost power. Hart emphasized, "What I'm about to say is a statement of fact and not a statement of cause." There is still much investigating to do before a cause is determined. In order to explain what investigators discovered so far, Hart explained the concept of feathering. The two tail booms that extend back from the body of the vehicle are referred to as feathers. When the ship begins its descent into the atmosphere, the feathers are deployed by rotating nearly perpendicular to the body (as seen in the image above) to create drag. Feather deployment requires two actions: The pilot must move the feather handle from locked to unlocked, then must move the handle into the feather position. Hart said the spaceship was released from WhiteKnightTwo and the engine ignited, both normally. About nine seconds later, at a speed of Mach 1.0, cockpit video shows that the co-pilot moved the handle that controls that feathers from the locked to the unlocked position. This action is not supposed to be done until the spaceship reaches Mach 1.4. Approximately two seconds after the handle was unlocked, the feathers deployed, but the feather handle itself had not been moved. At this point, "we saw disintigration," Hart said. "There was certainly in-flight separation [of the vehicle, meaning it broke apart]. Whether it was aerodynamic or for some other reason is part of the investigation yet to be done." Hart said NTSB anticipates having another briefing today, November 3. Update, November 4: NTSB held its fourth and last daily briefing in Mojave, California last night. The on-scene investigation is closing in a few days, but the investigation itself will continue for several months; NTSB's acting chairman Christopher A. Hart estimated the agency would have a final analysis and recommendations in approximately 12 months. Hart repeated the timeline they know so far: At 10:07 a.m. Pacific time, SpaceShipTwo was released from mothership; two seconds later, the engine fired; seven seconds later the vehicle reached Mach 0.94; two seconds later, at Mach 1.02, the co-pilot in the right seat moved the feather handle from the locked to the unlocked position; soon after the feathers began to deploy and telemetry and video data were lost. The co-pilot, Michael Alsbury, was killed. The investigators have not yet been able to speak with the injured pilot, Peter Siebold. Lightweight pieces of SpaceShipTwo have now been found as far away as 30 to 35 miles from the original five-mile stretch of debris. NTSB has formed a Human Performance Group to investigate all systems that relate to the interface between the flight crew and the vehicle, such as checklists and displays. A standard part of the systems check will be to see if the data that the pilot was seeing was correct. Future updates will be posted to the NTSB website. Are UAV Ready to Rock?